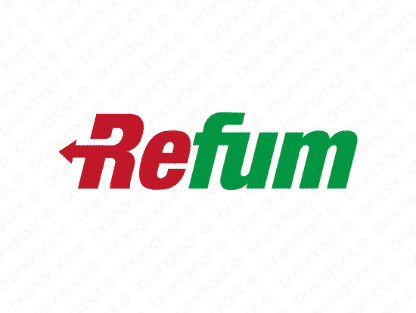 Brand refum is for sale on Brandroot.com! A crafty five-letter name built for businesses looking to convey sophistication and class. Its pronunciation is rhythmic and beautiful, giving it a strong and attractive aesthetic. You will have full ownership and rights to Refum.com. One of our professional Brandroot representatives will contact you and walk you through the entire transfer process.